Duane Morris is pleased to announce that Cyndie M. Chang, was honored by the Asian Pacific American Women Lawyers Association for being the first female managing partner of a major Los Angeles area firm. Cyndie M. Chang, managing partner of Duane Morris’ Los Angeles office, litigates complex business and commercial disputes involving contracts, unfair competition, trademark, trade secrets, products liability, broker disputes, entertainment and real estate law. Duane Morris partner Paul J. Killion of the firm’s San Francisco office has recently been appointed chair of the California State Bar’s Committee on Appellate Courts for the term commencing at the close of the 2015 State Bar Annual Meeting on October 11, 2015. Killion is a Certified Appellate Specialist and practices in the area of complex civil litigation. He has argued or briefed over 100 appellate matters, including appeals, writs, petitions for review, merits briefing and amicus curiae briefing. 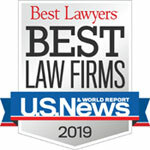 He has handled a variety of litigation and appeals, including significant national experience in asbestos, pollution, toxic tort insurance coverage litigation and large personal injury claims. He has a broad range of appellate experience, with a particular focus on appeals from complex jury trials. Killion has appeared before all Districts of the California Courts of Appeal and before the California Supreme Court, as well as the Ninth and Tenth Circuits and the Supreme Courts of Washington and Oregon. He also represents clients as amici counsel in the California Supreme Court and Courts of Appeal. Duane Morris’ Cyndie M. Chang, a partner in the firm’s Los Angeles office, will be speaking at the American Bar Association (ABA) Tort Trial and Insurance Practice Section’s spring conference, “Resolution of Property Insurance Claims in the Modern Age-Appraisal, Mediation and Arbitration,” which will be held on April 24-26, 2014, at the Park Hyatt Aviara in Carlsbad, California. Ms. Chang will participate in a panel discussion on “Mock Mediation of a Property Insurance Claim: Focusing on Preparation as the Key to Success” on Thursday, April 24, from 2:00 p.m. to 4:00 p.m. In what is the first trial court ruling in California on the issue, to our knowledge, the San Francisco Superior Court on January 31, 2013 issued a ruling adopting the Wallace & Gale approach to the completed operations issue for asbestos claims. The decision was issued by San Francisco Superior Court Judge John E. Munter in Phase III of Plant Insulation Co. v. Fireman’s Fund Insurance Co., et al., a multi-phase declaratory relief action pending in San Francisco. A California federal court recently issued a summary judgment ruling after interpreting two “other insurance” clauses in California State Automobile Inter-Insurance Bureau v. Progressive Casualty Insurance Company, 2012 U.S. Dist. LEXIS 57996 (N.D. Cal, April 25, 2012). One insurer argued that the “other insurance” clauses conflicted with each other, but the Court disagreed and found no conflict where one other insurance clause specifically provided for excess coverage in certain circumstances. The policyholder had a homeowner’s insurance policy with California State Automobile Inter-Insurance Bureau (“AAA”) and a watercraft policy with Progressive Casualty Insurance Company (“Progressive”). Both issued liability limits of $500,000.